Usually after I see a big superhero movie release, I’ll post 13 QUICK THOUGHTS about it. With Shazam!, I don’t really see a need to do that because there’s not much to analyze. It’s a very straightforward movie with a fairly simplistic plot. Sure, there are plenty of Easter eggs for longtime fans — like all the tiger references and the allusion to Black Adam — but really the movie is a straight-up adaptation of Geoff Johns and Gary Franks’ modern take on the classic character. 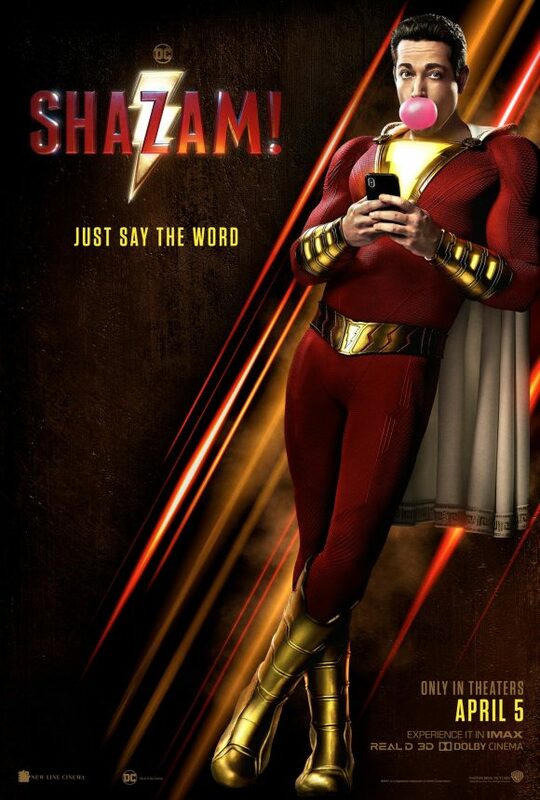 And I’m totally cool with that because I really only have ONE QUICK THOUGHT — which is that Shazam! is a movie with tremendous heart that finally achieves what Warner Bros. wanted: a complete reset in tone for the DC film slate. The erstwhile Captain Marvel is comics’ most star-crossed superhero — DC buried him in the ’50s because he’d become more popular than Superman and the publisher has struggled to make him a proper star since taking the reins in the ’70s. But now the great irony is that Warner Bros. has in recent years struggled to capture on the big screen what makes Superman so great while nailing Shazam! in the first try. — 13 SHAZAM! COVERS to Make You Feel Good. Click here. It was a wonderful movie. Silly without being ridiculous and plenty of heart. The big red cheese was awesome and the best Captain Marvel movie ever…Two words….Shazam Family! Agreed on all points Dan. My whole family loved it, and the audience did too. Everyone was laughing and just having a great time. I will fully admit that I enjoyed this film more than Captain Marvel, which I also liked, don’t get me wrong. But this was way more fun.